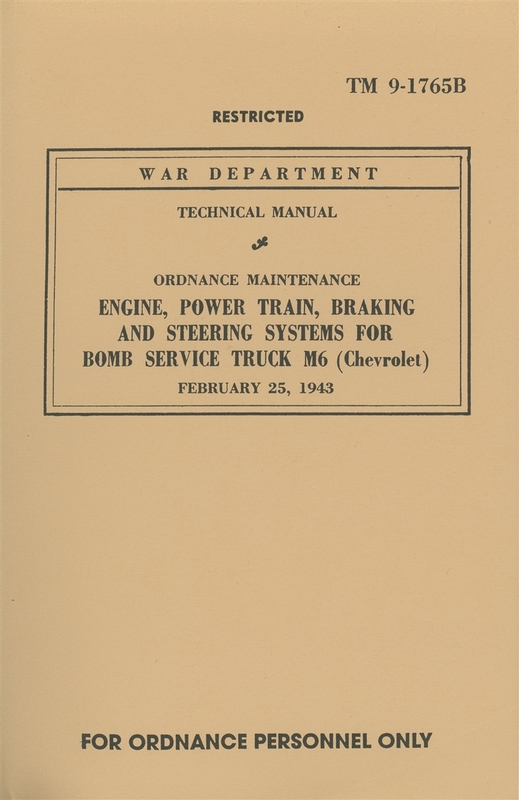 Ordnance Maintenance, Engine, Power Train, Braking and Steering Systems for Bomb Service Truck M6 (Chevrolet). Dated February 25, 1943. This manual covers maintenance and rebuild of the engine, power train, steering and brakes on all configurations of the Chevrolet 1 1/2 Ton Truck (G506 & G85). 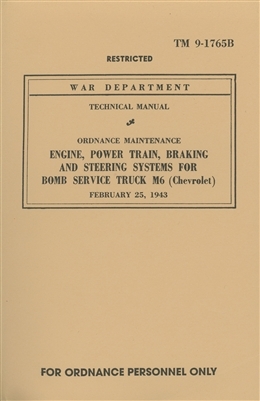 Although the manual specifically references the M6 Bomb Service truck, all varieties of this Chevrolet 1 1/2 ton truck used essentially the same chassis and running gear. This manual is a "must have" for anyone contemplating a serious rebuild of one of these vehicles. Assembly Operations. 4x4 Chevrolet Trucks 2 Unit Pack (G506) Chevrolet Trucks - Vehicles of Victory in WW2: Models & Data (G506 +) Westinghouse T-1 Air Compressor Installation Manual (G503, G506, G508) TM 10-1127 Maintenance Manual. Chevrolet 1 1/2 Ton 4x4 Truck (G506).